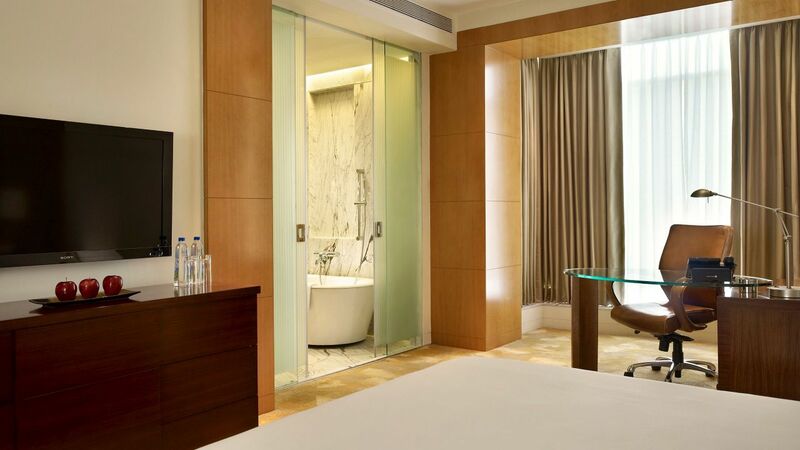 One of the premier hotels in the city, Hyatt Regency Pune features 222 spacious rooms including 50 Regency Club™ rooms and 18 luxurious suites. As a Regency Club guest, enjoy complimentary access to the Regency Club Lounge services. 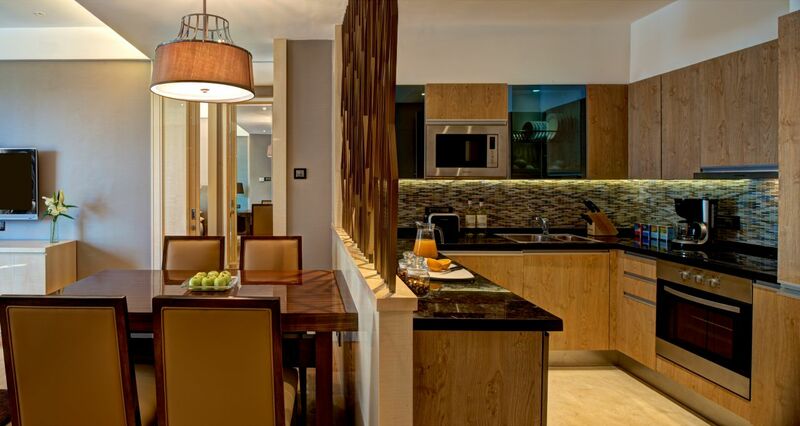 Additionally, the 81 fully equipped apartments are ideal for short and long term stays. Modern, air-conditioned and fully furnished, the apartments come in flexible configurations of one, two and three bedrooms. Enjoy the comfort of feeling at home while in staying with us. 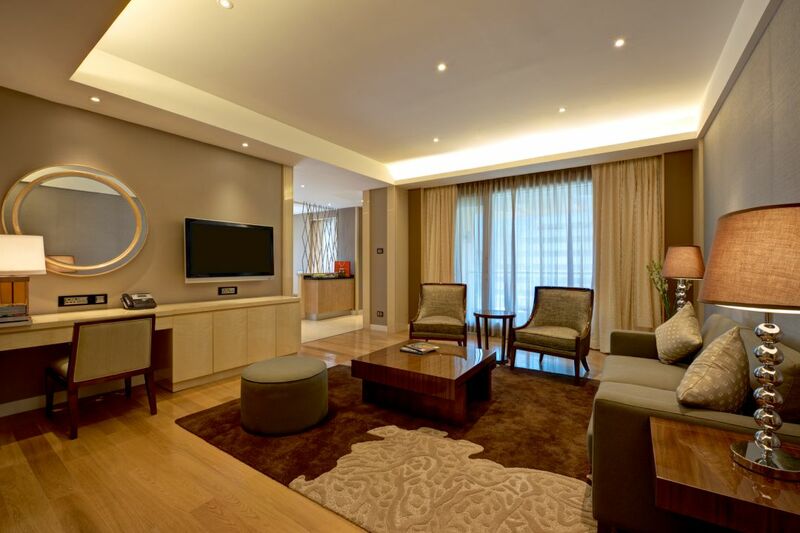 Unwind within this 84-square-metre suite offering a spacious living area with balcony, Regency king bed, access to Regency Club lounge offering continental breakfast, evening cocktails and canapes, 15% discount on food & soft beverages and two-way local airport transfers. This is a standard suite. Unwind within this 115-square-metre suite offering a kitchenette with a private entry, Regency king bed, access to Regency Club lounge offering continental breakfast, evening cocktails and canapes, 15% discount on food & soft beverages and two-way local airport transfers. This is a premium suite. 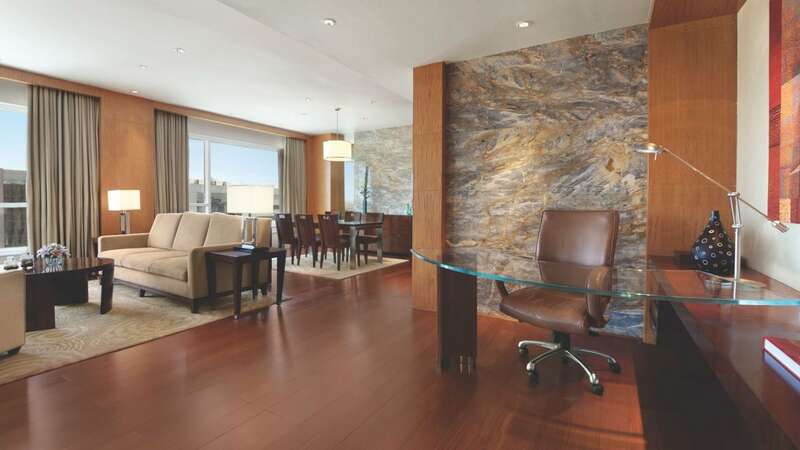 Reside in ultimate luxury spread out over 125 – square- meters of space on the top floor of the hotel. 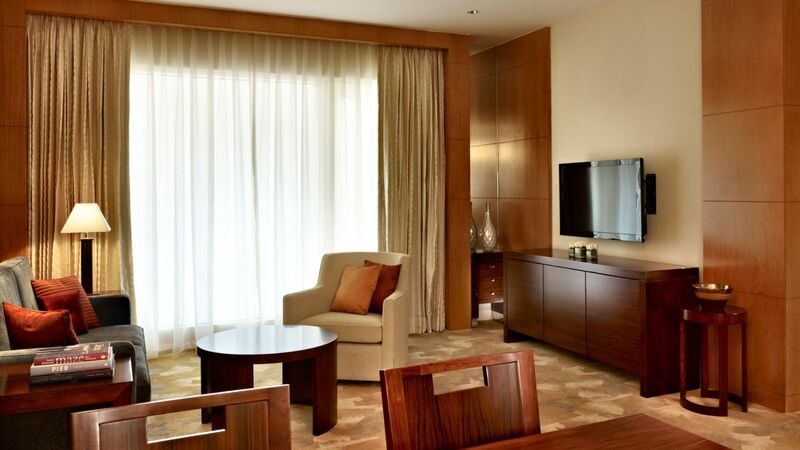 This suite comes with a plush Regency king bed, balcony and whirlpool. Also enjoy access to Regency Club lounge offering continental breakfast, evening cocktails and canapes, 15% discount on food & soft beverages and two-way local airport transfers. This is a premium suite. 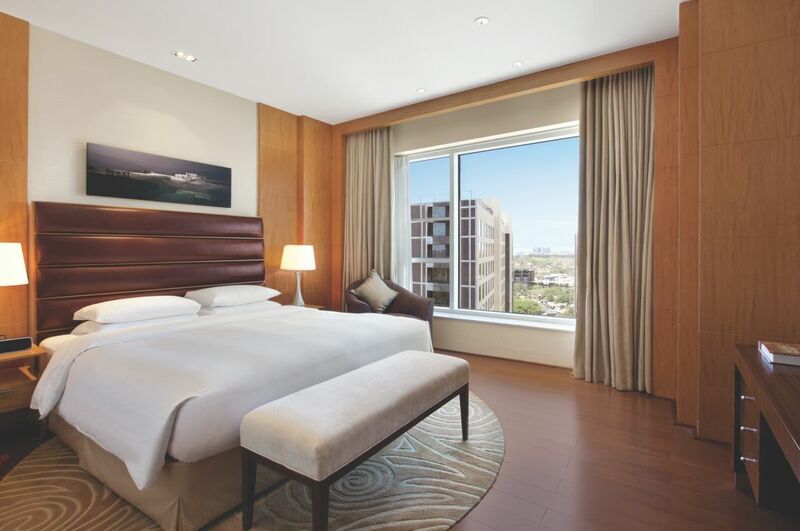 Reside in ultimate luxury spread out over 165 – square- metres of space on the top floor of the hotel. 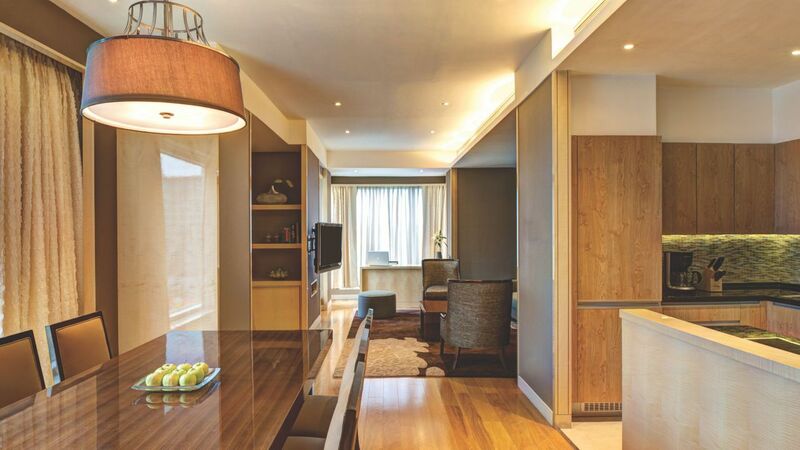 This suite comes with a plush Regency king bed, balcony and kitchenette. Also enjoy access to Regency Club lounge offering continental breakfast, evening cocktails and canapes, 15% discount on food & soft beverages and two-way local airport transfers. This is a premium suite. 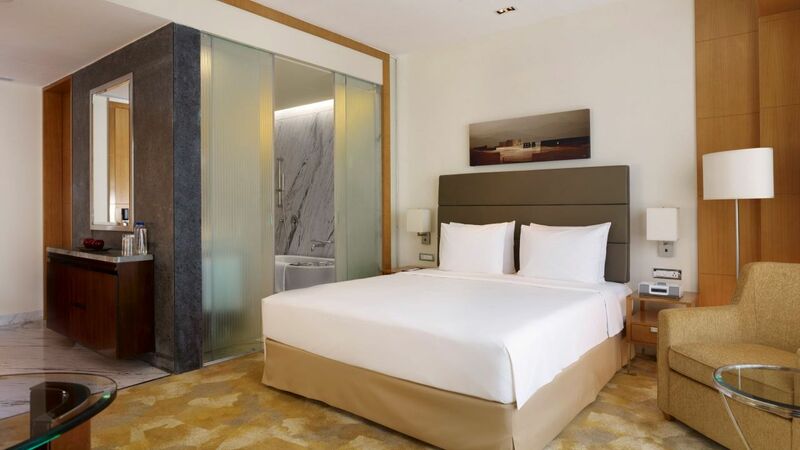 Enjoy this spacious 40-square-metre contemporary room with a plush Regency king bed, modern bathroom, work desk and high-speed Internet access. 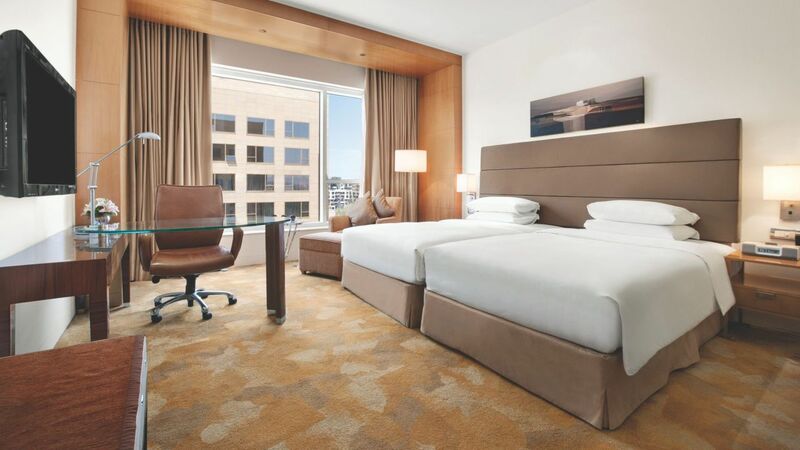 Enjoy this 40-square-metre room with plush Regency twin beds, modern bathroom, work desk and high-speed Internet access. A spacious 40- square-meter contemporary room with a plush Regency king bed, Regency Club lounge access offering continental breakfast, evening cocktails and canapes and two way local airport transfers. A spacious 40- square-meter contemporary room with a plush Regency twin beds, Regency Club lounge access offering continental breakfast, evening cocktails and canapes and two way local airport transfers. Enjoy a comfortable stay in this 66-square-metre space luxury apartment, with one Regency king bed, walk in closet, fully equipped kitchen and access to recreational facilities. Enjoy a comfortable stay in this 87-square-metre space luxury apartment, with one Regency king bed, walk in closet, fully equipped kitchen and access to recreational facilities. Unwind in luxury when you choose to stay in this 100 -square-meter apartment, with one Regency king bed, two Regency twin beds, walk in closet, fully equipped kitchen and access to recreational facilities. Unwind in luxury when you choose to stay in this 125 -square-meter apartment, with one Regency king bed, two Regency twin beds, walk in closet, fully equipped kitchen and access to recreational facilities.